This item is available in 185 cover options. Click to view options now! 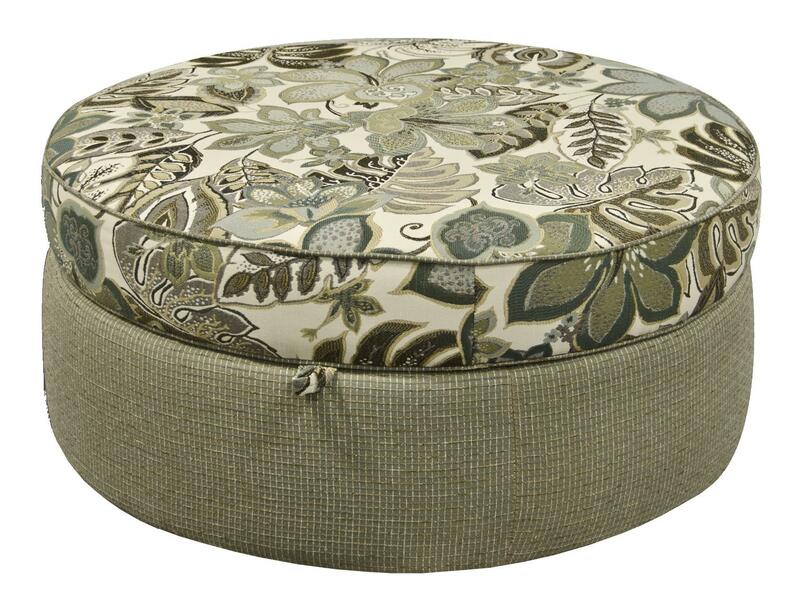 This casual styled accent ottoman will bring an element of elegance into your living room. Used as a design statement as well as for comfort,this piece will enhance the overall look of a room with a simplistic style and a charming silhouette. Slightly unique due to its rounded shape, this casual styled accent ottoman will spruce up the look of your room; interrupting the common square shapes of couches and tables with a touch of shape and form. Complete with welt cord trim for a tailored accent and small wheel casters for easy movement, this ottoman will provide you with comfort and a decorative style. The Olena Round Storage Ottoman for Casual Elegance by England at Furniture Superstore - Rochester, MN in the Rochester, Southern Minnesota area. Product availability may vary. Contact us for the most current availability on this product.